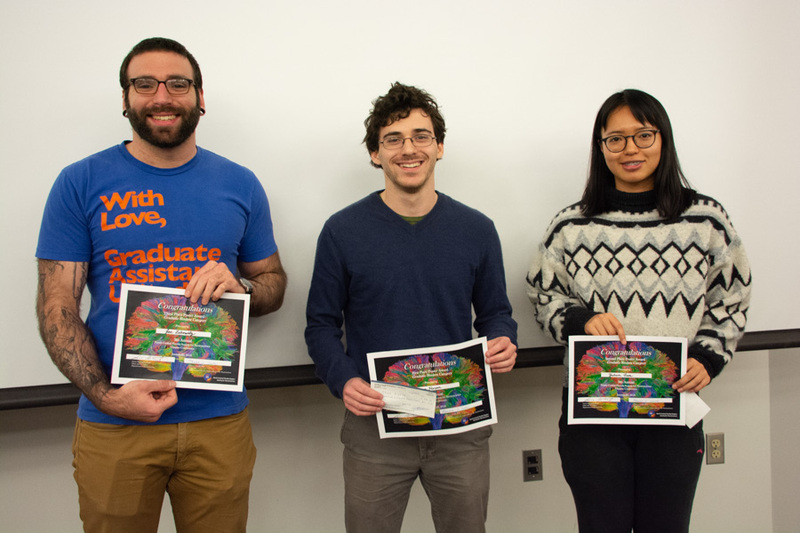 The UF departments of neuroscience and psychiatry and the McKnight Brain Institute co-sponsored the ninth annual North Central Florida Chapter of the Society for Neuroscience Conference on Jan. 25. 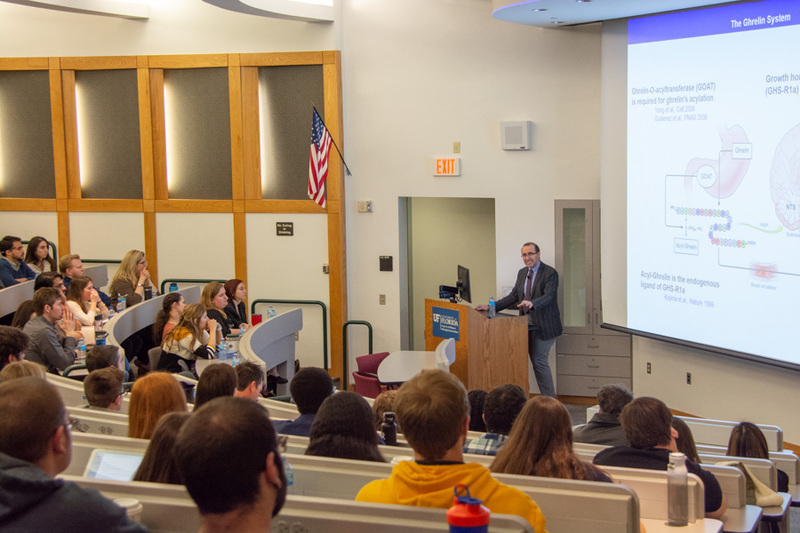 Leggio served as the conference’s keynote speaker and highlighted recent translational efforts to develop novel treatments for addiction via gut-brain pathways. 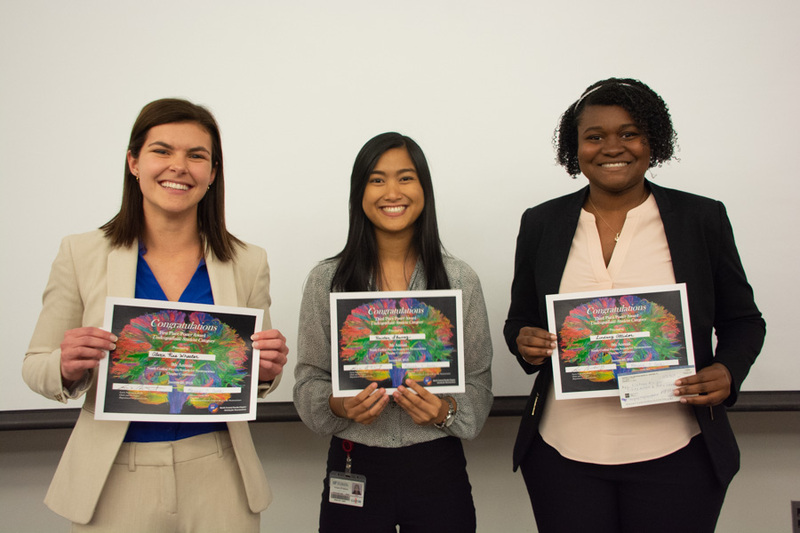 The conference concluded with a poster award presentation. 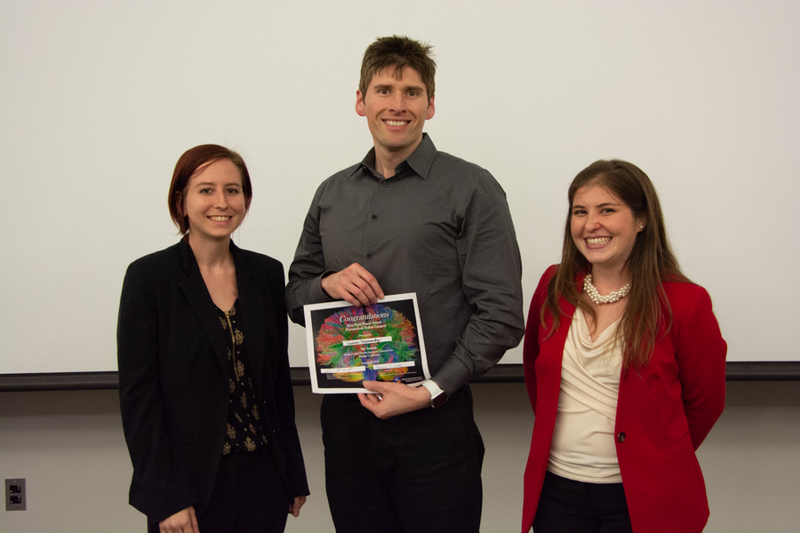 See photos from the panel discussion, keynote speech and the poster awards presentation below. 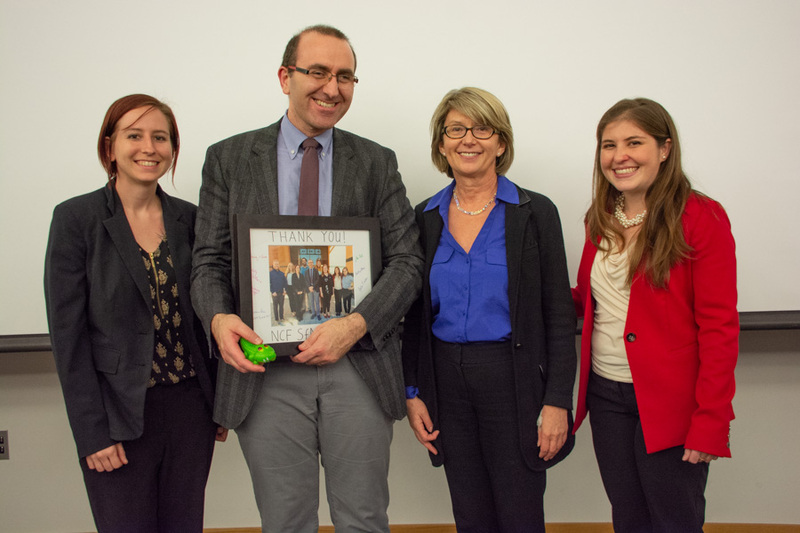 Keynote speaker Dr. Lorenzo Leggio received mementos from (left to right) Shelby Blaes, NCF SfN conference chair; Dr. Lucia Noterpeck, chair of neuroscience; and Marissa Ciesla, NCF SfN president. Ceasar Hernandez earns a postdoctoral poster award. 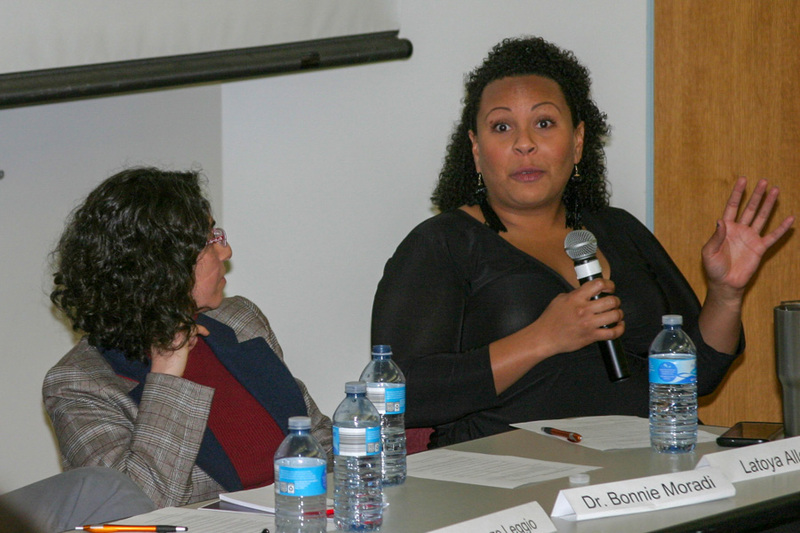 Latoya Allen discusses her experiences during the panel discussion. 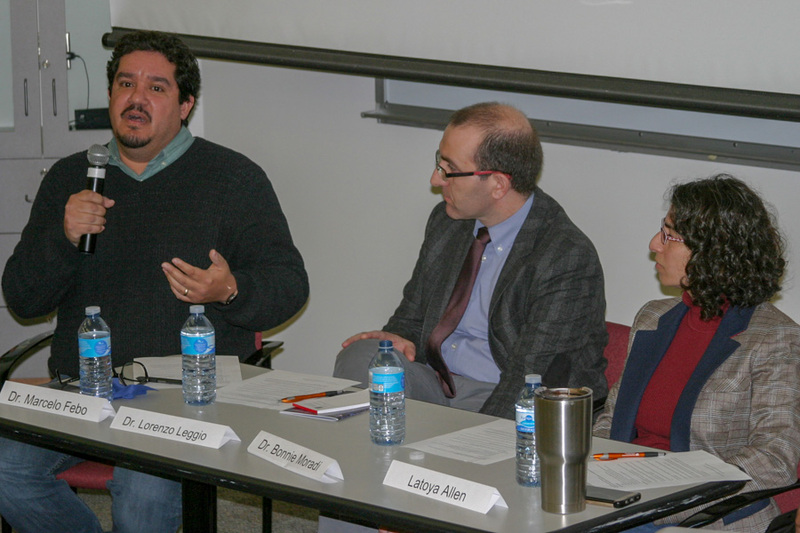 Dr. Marcelo Febo speaks during the panel discussion. 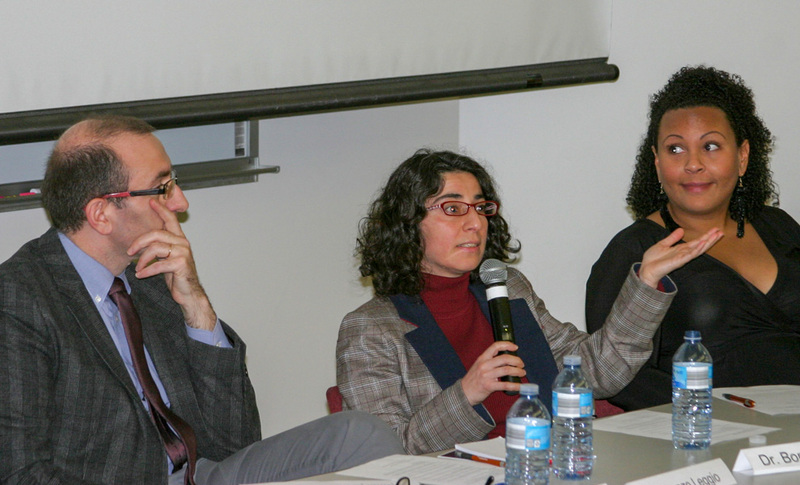 Dr. Bonnie Moradi answers a question during the panel discussion. Dr. Lorenzo Leggio presents to a full house during his keynote speech.